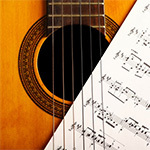 Are you looking to buy a Unique and Creative Gift for your partner, husband/wife or girlfriend/boyfriend? 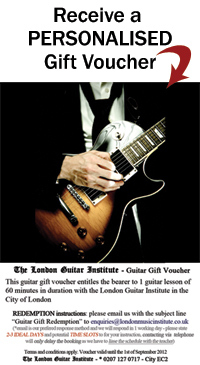 In the lesson he or she will discover AMAZING things about the guitar and will also get an exclusive opportunity to book further courses. 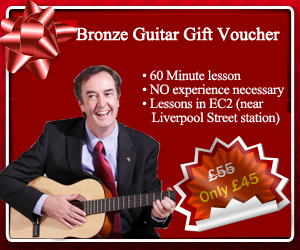 As the recipient will BENEFIT from a MINI-COURSE, he or she will make tremendous progress and will really have some great skills to take home after the fifth lesson. 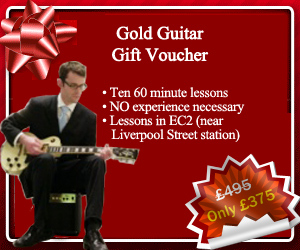 As the recipient will BENEFIT from this COURSE, he or she will make tremendous progress and will really have some great skills and REALLY LEARN GREAT SECRETS OF THE GUITAR after the tenth lesson. 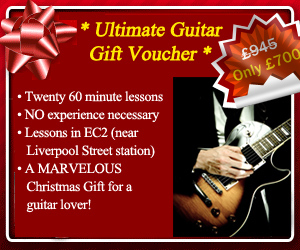 In the lesson he or she will discover AMAZING & UNUSUAL THINGS about the guitar and will also get an exclusive opportunity to book further courses. 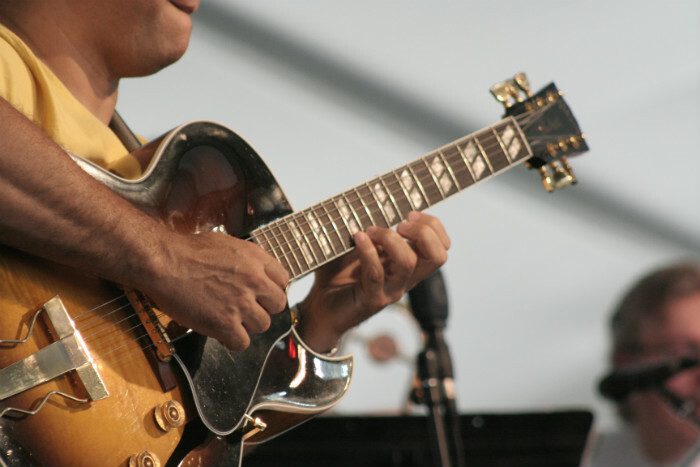 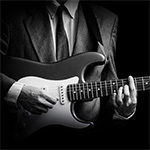 As the recipient will BENEFIT from this COURSE, he or she will make tremendous progress and will really have some great skills and REALLY LEARN GREAT SECRETS OF THE GUITAR after the twentieth lesson. 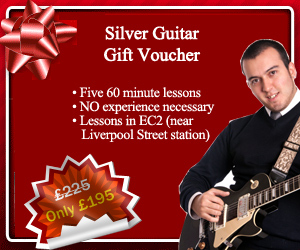 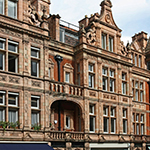 This gift voucher package is really INCREDIBLE VALUE FOR MONEY and will NOT BE repeated next year!